"There are 188 million 911 calls a year. This one made it personal." The Call is a thriller that was released in 2013. It has an R rating. The reason for that is the action is a little too violent to be considered for PG-13. It also contains suggestive content not suitable for children and inappropriate language. The film was directed by Brad Anderson, and it was written by Richard D'Ovidio. The film stars Halle Berry as a 911 operator and Abigail Breslin as a young woman in the cross-hairs of a serial killer. The rest of the cast consists of supporting roles featuring Michael Eklund, Morris Chestnut, Michael Imperioli, David Otunga. It was distributed by TriStar Pictures and produced by WWE Studios. 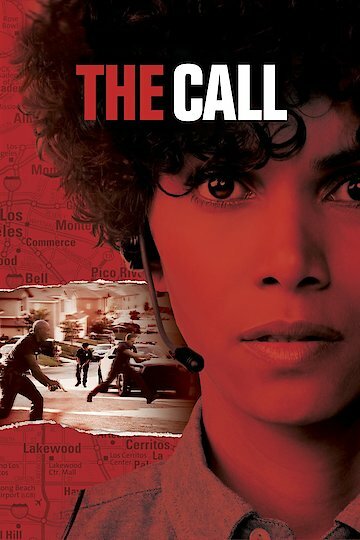 The film begins with Halle Berry as 911 operator, Jordan, responding to a frantic call from a young woman who is trying to hide from an intruder. Jordan fails to prevent her from being captured and killed by the intruder. The intruder is portrayed by Michael Eklund. After struggling to come to terms with these events she soon finds herself in a similar situation. This time, Abigail Breslin is a young woman named Casey, who is captured in a parking garage and placed in a trunk. She is able to call the police from the trunk. As fate would have it, Jordan must do everything she can to make sure another person does not lose their life. When the man who captures Casey finds out she has been on the phone with the police he utters words to Jordan that help her come to the realization that it is the same man who killed the young woman in the beginning of the film. This adds more motivation for Jordan to bring justice down on this killer. It will also help her find peace and closure for the death that happened on her watch. The Call has a running time of 96 minutes. The Call is currently available to watch and stream, download, buy on demand at FX+, FOX, Amazon, Vudu, Google Play, iTunes, YouTube VOD online. Halle Berry's reps confirm that "The Call" actress is pregnant. Get the details here!